intends to update them. A row share lock is the least restrictive mode of table lock, offering the highest degree of concurrency for a table. SELECT ... FOR UPDATE. An SX lock allows other transactions to query, insert, update, delete, or lock rows concurrently in the same table. 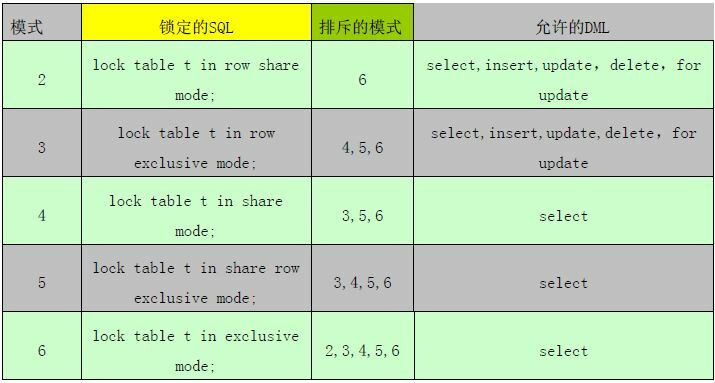 Therefore, SX locks allow multiple transactions to obtain simultaneous SX and subshare table locks for the same table. holding this lock is not sufficient to ensure that a transaction can modify the table. UPDATE) but not to update the table.